A day after Himachal Pradesh University (HPU) Vice-Chancellor Prof ADN Bajpai asserted that the students who had flunked the first semester examination would have to re-appear, the university today gave one-time relaxation to them by deciding that those having an aggregate of 45 per cent (both internal and external) would be declared pass. However, in the future, the students will have to obtain 35 per cent in both internal and external exams with an aggregate of 45 per cent to pass. At a meeting, MLA and EC member Bambar Thakur, Principal Secretary (Education) RD Dhiman, Pro-Vice-Chancellor Prof RS Chauhan, Director, Higher Education, Dinkar Burathoki, HPU Registrar Pankaj Lalit, Dean, Planning and Studies, and Controller of Examination decided that the students who secured 35 per cent in both internal and external exams with an aggregate of 45 per cent be declared pass in the future. It was decided that a notification be issued immediately and revised results be declared by September 17. 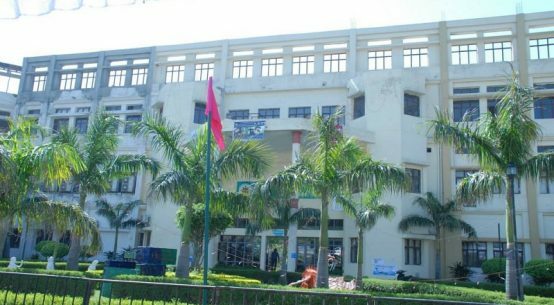 The university had raised the minimum pass marks from 35 to 45 per cent in both internal and external examination and also altered the ratio of marks in internal and external examination from 50:50 to 30:70 resulting in large scale failures.Joint Secretary of the Himachal Government College Teachers Association Joginder Saklani welcomed the decision and urged the university authorities to ensure that results were declared in one go in the future.